Are you ready to Shop the Universe? 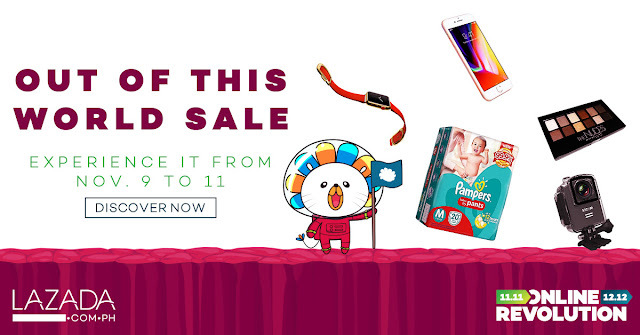 Get your hands on almost anything and everything that you need in the worlds of Electronics, Fashion, Home and Appliances, Health and Beauty and more as Lazada Online Revolution 2017 kicks off on November 9th! The traditional month-long mega celebration will run until December 12, 2017 with up to 95% off on tons of products on the website. Shoppers looking for more will get more choices as items on sale during Alibaba's Single's Day (11.11) will be available through the Taobao Collection. Digital goods such as prepaid load, mobile data and restauarant & lifestyle vouchers are also available at 5% off. Christmas gift-seekers will be treated with more options at even better prices. Top deals include the Cherry Mobile OnRev smartphone for only Php999, the Olay Night Ritual at Php999 and the Casio G-Shock for only Php2,995. Bargain hunters will also love the 11 Peso deals and flash sales every two hours. Some flash sale items include a Matrix microwave oven for only Php1,999, an A7 Sports camera for Php439 and Mamypoko Extra Dry Skin Tape Diapers (30 pieces) for only Php322. Christmas shopping would not be complete without raffle promos. Lazada has that too! 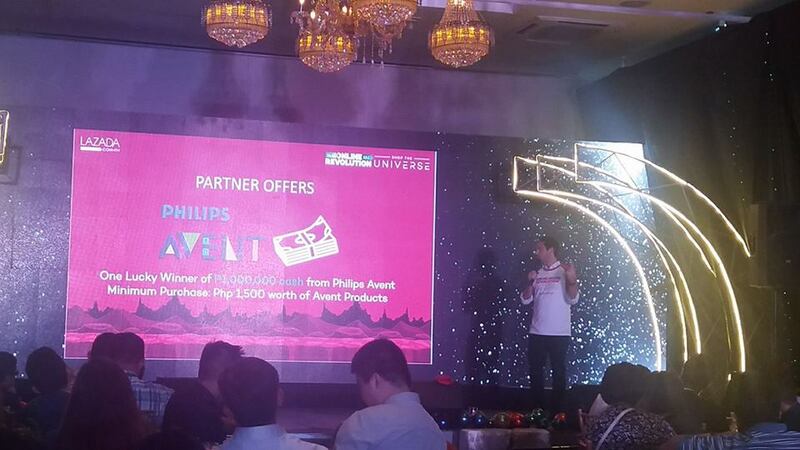 Avent is giving away a cash prize of Php1,000,000 to one lucky customer buying any Avent product. Lazada is also giving away free trips from Philippine Airlines and Star Cruises. One Isuzu SUV to be given away to lucky shoppers. Each transaction entitles shoppers to an electronic raffle coupon. Free Lazada access through Freenet mobile app. Through a collaboration with Freenet, the free internet platform of Voyager Innovations, customers using the Lazada mobile app can browse and shop without being charged for data consumption. New sign ups and users of Paymaya will get exclusive discounts as well. To get additional discounts, sign up for a PayMaya account and enjoy additional 20% off (max discount of P400) with the code PYMYNOV upon checkout for the whole month of November. "With this year's Online Revolution Sale, the best of the world is truly at everyone's fingertips. 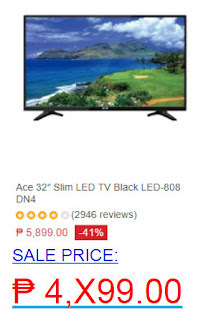 Lazada has been working closely with the top brands and sellers in the country and across the globe to offer the best products at the most affordable prices. We believe that campaigns such as Online Revolution will someday set the Philippines to be the online shopping capital of not only Southeast Asia but also the world," said Lazada Co-Founder and CEO, Inanc Balci. Shopping on Lazada is now so much better than ever before. Right now, customers can already take advantage of the site's top notch shopping services such as Free Shipping, Cash on Delivery and Express Delivery (same day delivery). 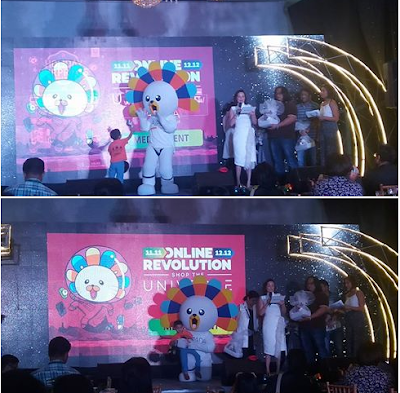 Visit www.lazada.com.ph/online-revolution and get Festive! Join in the countdown as Markdowns at November 9 Midnight open at The ONLINE REVOLUTION!